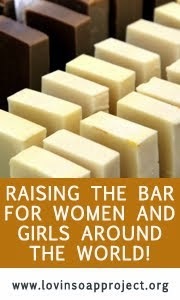 This soap is actually a combination of 3 soaping techniques; CP, HP & MP. 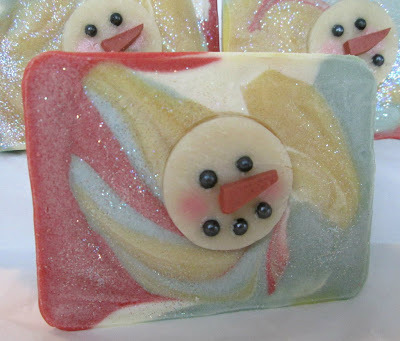 The soap itself is cold process, the snowman is hot process and his carrot nose is made from melt and pour soap. I made the snowman using the same technique as the Polar Bear Soap. I don't know how well the noses are going to stick to the soap, I may have to 'glue' them on using a pipette and a bit of melt and pour soap. I brushed a little bit of cotton candy mica onto his cheeks to give him that rosy glow! I was pleasantly surprised when I unmolded the soap this morning and saw that the blue had turned closer to a Tiffany blue, probably from the discoloration of the fragrance oil....lucky break! I hope everyone is having a nice, relaxing weekend....thanks for reading! Hey Cee,it's amazing! Did you swirl the whole soap,or just tops? Great idea to use this cake container as a soap mold! From the picture I don't see any lining,did you put some glycerin in order to pop them out easily,or not? I love the colours and the snowmen are charming! Now,I wish I had eaten that tofu desserts! I'm sure I would have liked containers better! So,I was right about liking containers more! Not a real fan of tofu! Super cute! I had thought to make the snowman faces myself but ran out of time this year. It is so cool to see what they might have looked like! They look awesome and even cuter within the swirled bar. BRAVO! Thank you Amy, that's really sweet! Love the colors! And those rosy cheeks. You are very creative. 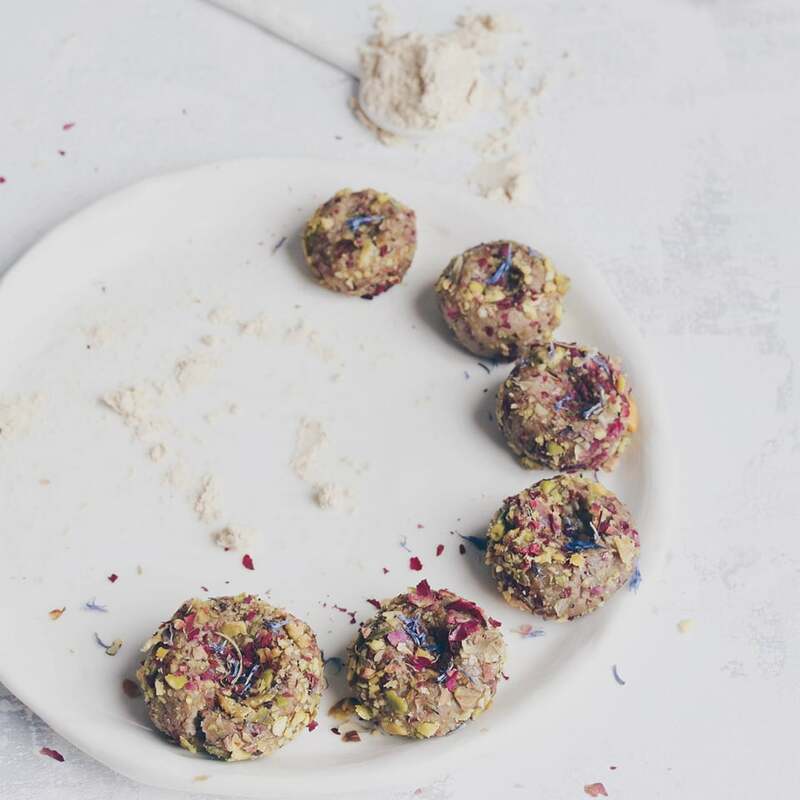 Thanks Marika, they really were a lot of fun to make! Thats so creative,a modern art snowman for the ages. Love it!! 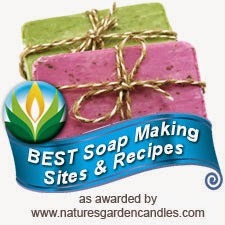 Gorgeous soaps – as always! Wonderful!!! You always have such great ideas. Love this soap!!! 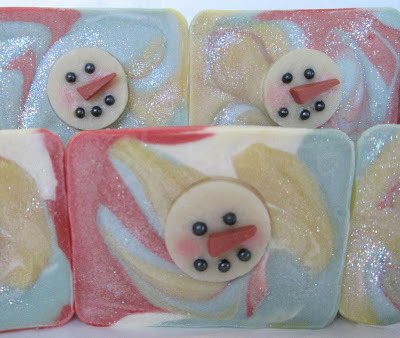 The Snowman soaps are so cute, Cee Gee! The mica blush on the cheeks are a great touch. These will make such beautiful holiday gifts. Bravo! Wow, wow, wow, Cee! Those are sweet soaps! That is so creative! What a great soap and gorgeous colouring! 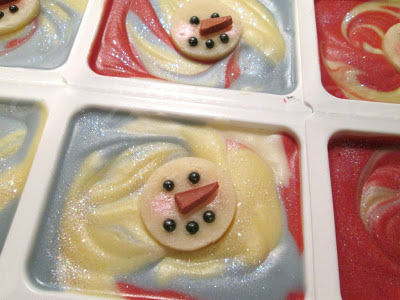 I love these soaps - you make such creative soaps with such great techniques! It's so fun to see what you come up with! Aw, thanks you guys! These ones were especially fun to make!